The best thing about jumpsuits is that they are easy to manufacture and quite cheap and with the help of national textile, they are easy to procure. 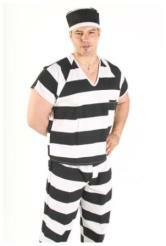 Whether you need jumpsuits for workers, costumes or prisoners, national textile can deliver. 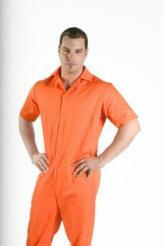 Our orange jumpsuits are of the highest quality and are created using excellent fabrics that do not wear off easily. Neither do they fade or lose their color easily. With more than enough experience in the industry, we know just the thing it takes to create these materials. We manufacture durable products that are available in a variety of colors other than orange, such as, red, green, blue, yellow, or khaki. You can also design your own jumpsuits and we will produce it for you to meet your demands . 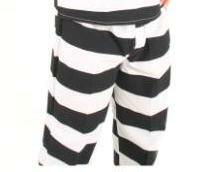 Online manufacturer of prison, inmate apparel, jumpsuits, inmate shirts, inmate pants and hats for Halloween, Mardis Gras or New Year's eve costumes. polyester/35% cotton. Snap front closure. Short sleeve only. No pockets. Standard inseam length at 32". Printing not included. Please note when ordering multiple sizes or quantities that shades and fabric may vary from one dye lot to another. Or how about a costume? Click on image for product details and sizing.